The CORSAIR Crystal Series 570X RGB Mirror Black is a premium mid-tower PC case enclosed in four panels of immaculate mirrored tempered glass, putting every component of your build on display. 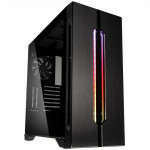 Three included SP120 RGB LED fans, RGB case lighting and a built-in LED controller let you light up your case in your choice of colors and effects. 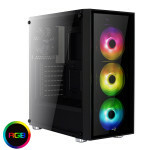 With room for up to 360mm liquid-cooling radiators, six cooling fans and a vertical GPU mount, the CORSAIR Crystal Series 570X RGB Mirror Black is ready to put the most ambitious builds on show. - Four mirrored tempered glass panels. 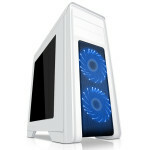 - Three included SP120 RGB LED fans and built-in lighting controller. 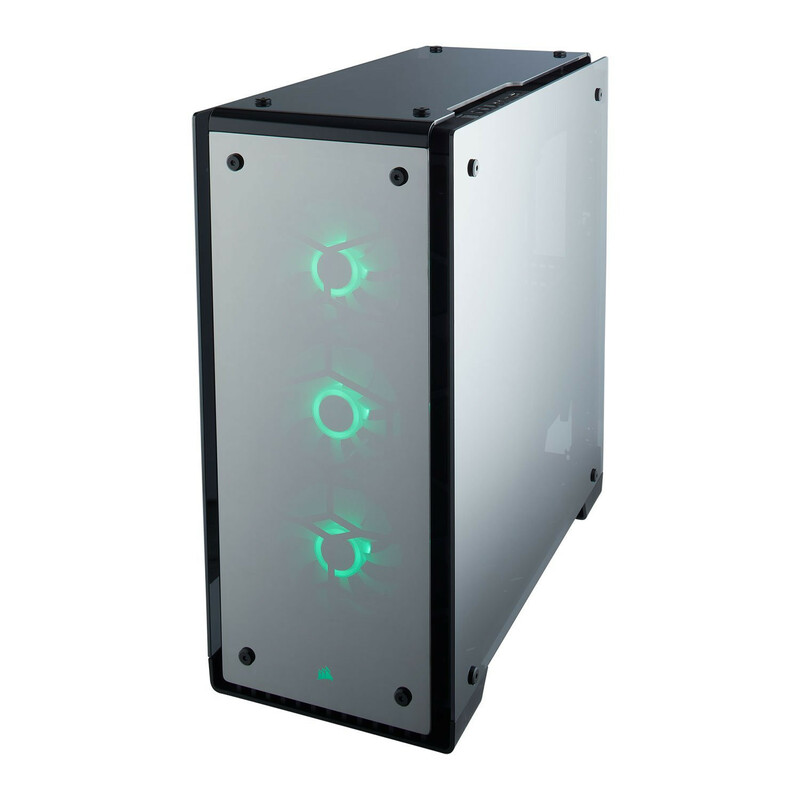 - Bright backlit RGB CORSAIR logo on front panel and PSU cover. 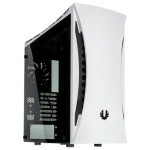 - Room for up to six case fans, and compatible with 360mm, 280mm, and 120mm radiators. 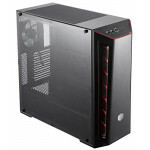 - Removable fan trays in the front and roof make installation easy. 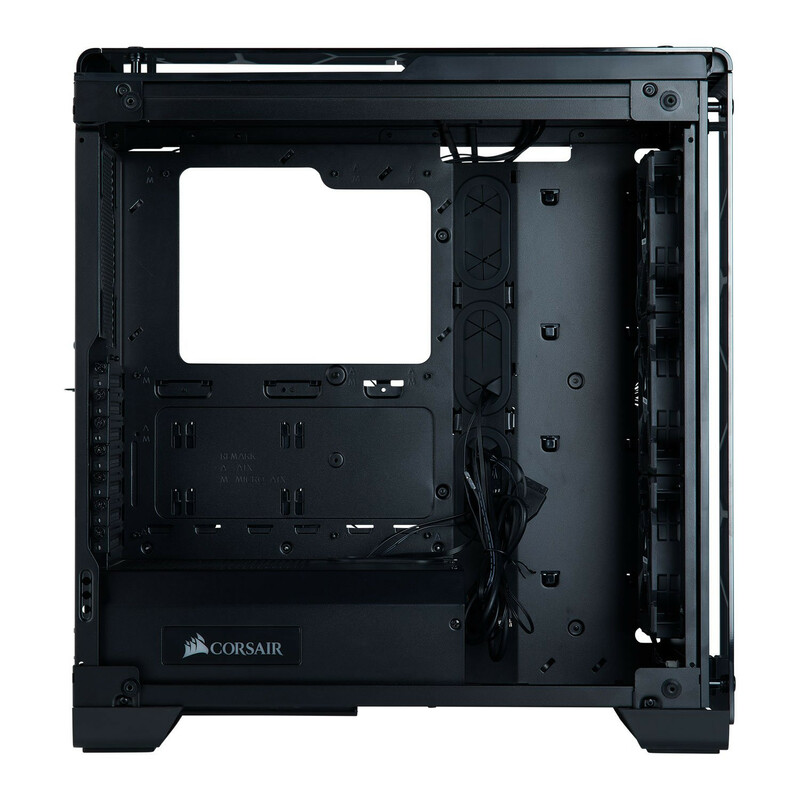 - Vertical GPU mount puts your graphics card on show (PCI-E riser cable not included). 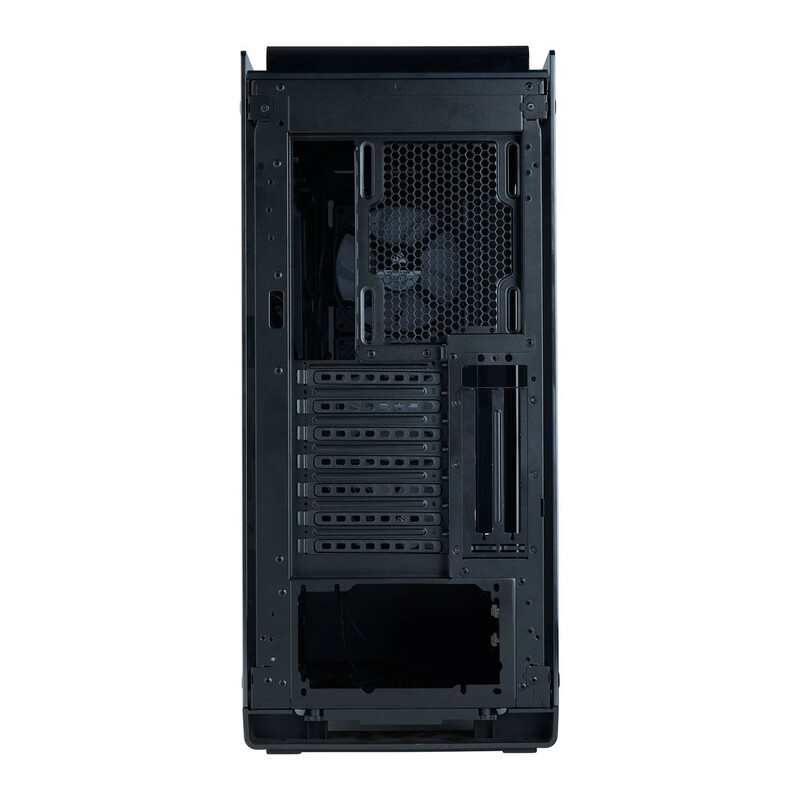 - Future-proof front I/O with USB 3.1 Type-C.
- Dedicated cable routing channels with included velcro cable straps for clean cable management. 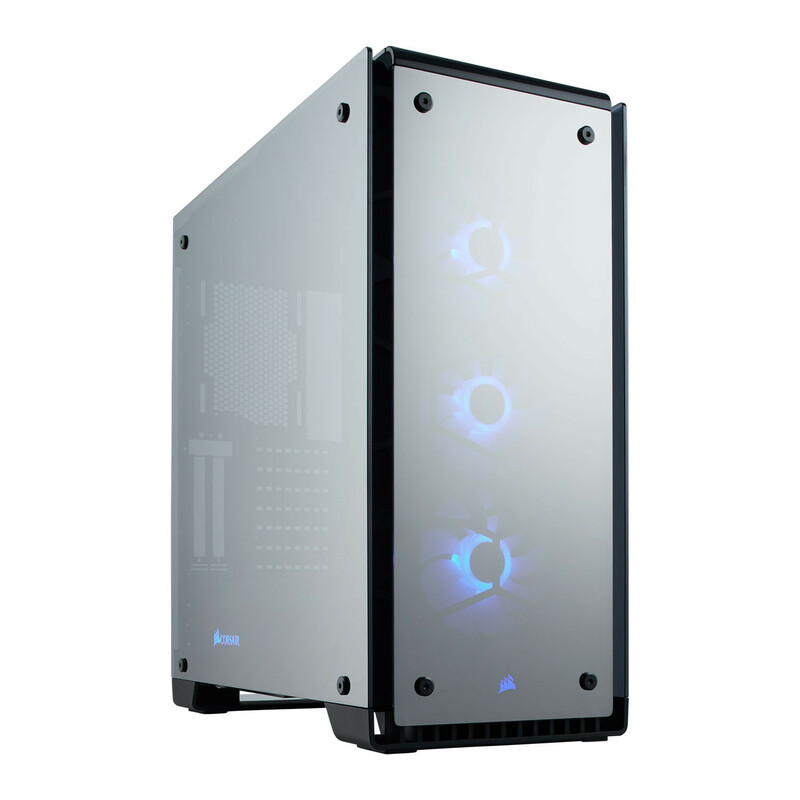 - Dimensions (L x W x H): 480mm x 234mm x 512mm / 18.90" x 9.21" x 20.16"
- Front I/O Panel: 3-Button RGB Controller, USB 3.0 port (2), USB 3.1 Gen2 Type-C Headphone and Microphone jacks, Power on and Reset buttons.